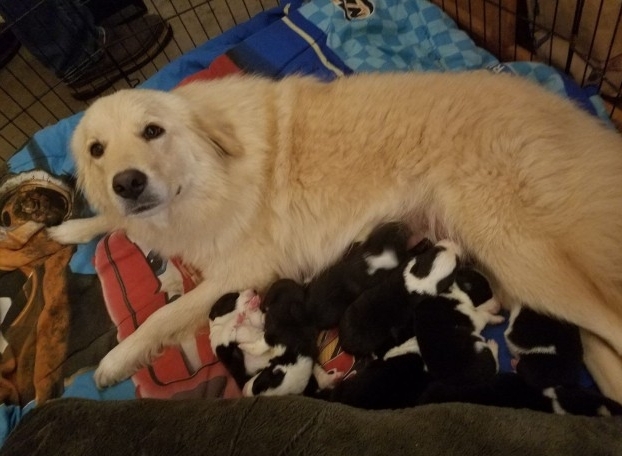 Her mom, Jessica Woodruff, said that Daisy lost all seven of her “beautiful puppies” three weeks after giving birth to them. They died in a barn fire on Monday, Feb. 20. “We tried to run to the barn but it was too late. We had to hold Daisy as she tried to run into [it],” Woodruff said. After the fire, her dog wasn’t the same. “Daisy wasn’t really eating, was walking down to the barn whining and sitting down,” Woodruff said. 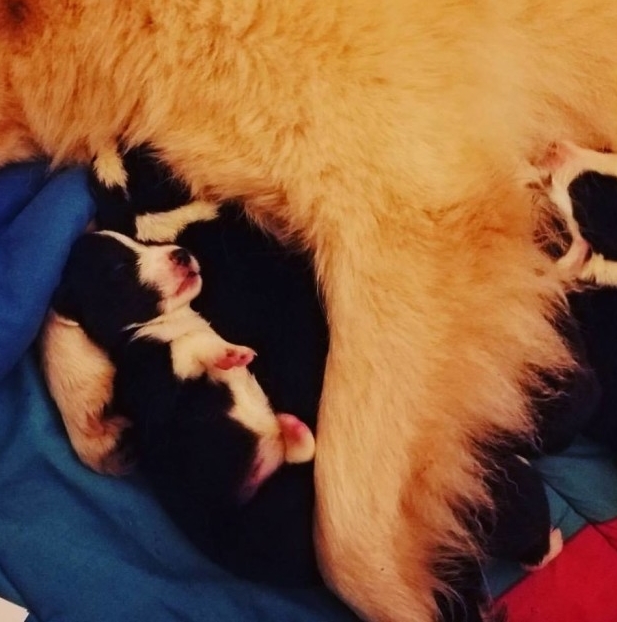 “My heart broke for this new mom — that’s all she wanted.” To help Daisy overcome her loss, Woodruff began a search for foster puppies. Eventually, she heard from Lorna Murphy. 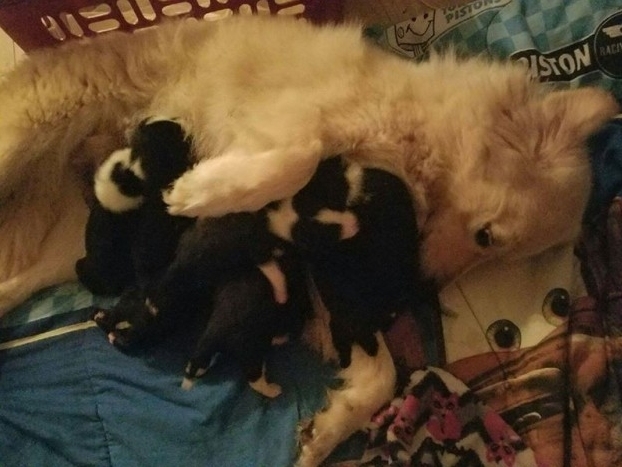 Murphy’s dog of five years, Chloe, died shortly after giving birth, leaving her eight puppies without a mom. Murphy called Woodruff. It’s a temporary arrangement. Once the pups are weaned, they’ll return home. Safe to say, the puppies are making Daisy feel a lot better. 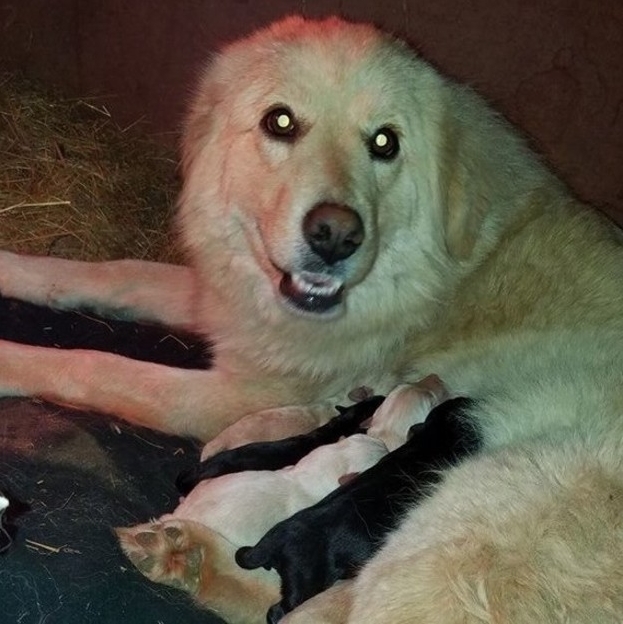 Daisy no longer visits the barn and is fully caring for the puppies by nursing and cleaning them. “It’s amazing how much they helped her heal,” Woodruff said. 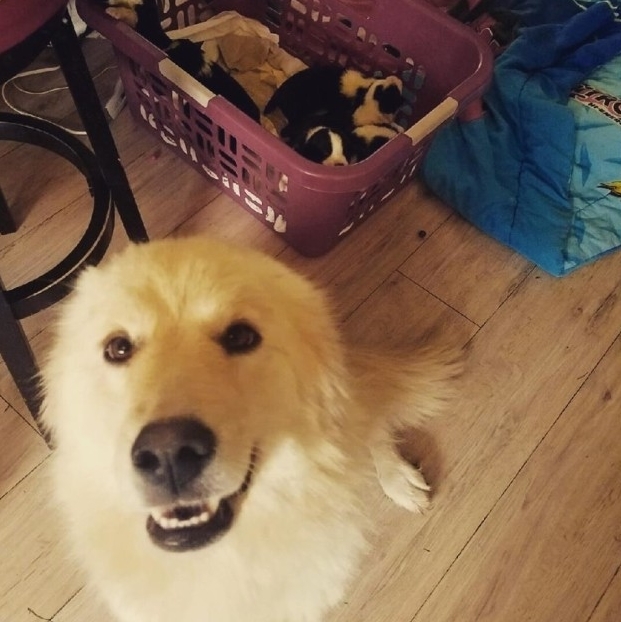 Responses to "Dog Who Lost Her Puppies Is So Excited To Be Caring For Orphaned Puppies"